My entire adult life, and most of my teens, church has been a very important part of my life. I don't mean just the building or the people/social aspect of it, but the very essence of what the church is. Church means so many different things to me... it is a place to worship and glorify Christ, a place to stop and say thank you to a God that loves us so very much, a place to bring your less than perfect self and know that God will and does perform miracles on your insides and out, a place to grow with the body of believers and be discipled and to disciple, and so much more. Recently, though, I have found myself in a very hard place concerning church. I suppose it is what some would call Spiritual Warfare and sometimes it feels like I am losing. The very act of going to church has become a challenge for me. I know I need to be there, but I am pulling me away. 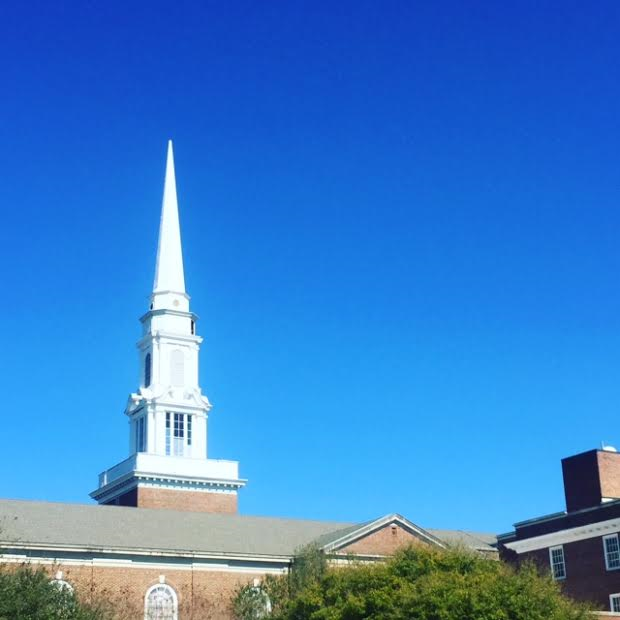 I have debated whether I need a new church or am I running away to something that feels softer, gentler? There are a lot of memories in my church, some of them hard to face. Ironically, the good memories are the hardest to face. They point out all the changes, the differences and I am having a hard time trying to figure out how to fit it all together. So, yes...I am at a crossroads. I don't know which way to turn. Prayers appreciated. 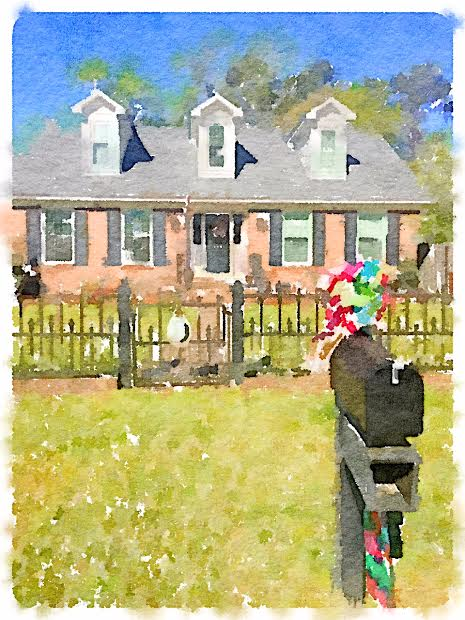 You may have noticed at the bottom of each of my posts I sign off with "Love from my Little Brick Cottage," and I have even created a tag for it on other forms of Social Media because it makes me happy. My little brick cottage is not really even my own. I am just a renter. Lately, though, I have thought a lot about this little house and wondered why I love it so much. It isn't glamourous or fancy. It needs some TLC and lots of paint. But, I love it. When I look at it, I see it through "what it could be" eyes. Up until recent months, I was very close to being able to purchase this little cottage but there were some changes and money was needed for other things. Yes, I have struggled with being sad about that and worried about the "what if" I have to move quite a lot. One of my greatest painful realizations when I was divorced is that I would probably never live in another house that I owned. It was the realization that I would probably always be a renter. Of course, there are perks to being a renter, but I love the feeling of "my home" and the freedom and security that provides. "My Home" means I belong somewhere even if it is just me. I guess, until my divorce, I had never realized how much that meant to me. Maybe I am somewhat of a homebody? I do love this little house, though. I love all the great things and all the quirky "why was that done that way" things. I see amazing potential that could be brought out with just a few little sweat equity projects. I envision what a little yard work would do for it. I love walking the tree lined streets of the neighborhood. But, I really think the reason I love it, is I feel safe here. My boys and I came here at a time when nothing in life felt Ok or safe or right. I was lost and very afraid. This little brick cottage came to me out of a fluke, an unexpected turn and it provided a haven for my boys, my dog (now 2 dogs), and I to start our new life. We worked through a lot of pain and all of us have done a lot of growing up in this house (still are.) This is where we learned to do life, just us. This is where that first Christmas tree went up after our family became fractured. It was hard, but we did it. So many firsts, some good and some bad, have happen here it feels like a lifetime has been lived here. Yes, I know it is just a building but to me it is more....it is home. I have been blessed to have had these walls wrapped around my family to keep us safe, and secure. It has covered us through storms both inside and out. Here's to this amazing little brick cottage in the heart of Florence! I have written about this plant before but it never ceases to delight me and leaves me wondering each year if it will produce it's magic at just the right moment. You see, this is my Grandmother's Christmas Cactus, for her it bloomed at Christmas, because much like most growing things it dared not defy her tutelage. 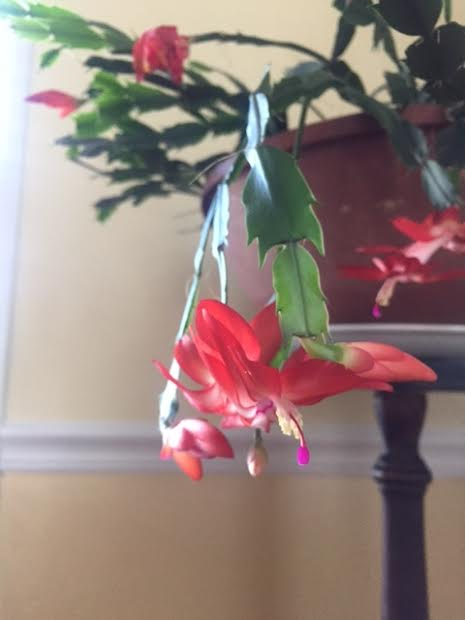 When she died almost a decade ago, I some how ended up with her prized Christmas Cactus. To this day I do not know how it ended up coming home with me. The first year I had it, I was quite abusive and left it in my garage for many months with no water and little light. Of course, when I finally brought it inside it didn't even show the tiniest sign of a single bud at Christmas. I didn't think much about it. Then her birthday rolled around in mid February, (the 17th, to be exact), and that amazing plant threw a very unexpected party. It burst into full bloom, making me realize there was more than one variety of cactus planted...there is a red with a beautiful fuchsia stamen and then there is a white with tinges of red. To say I was filled with joy and sadness was an understatement. This year it popped out a bloom or two in December for the first time since I have had it and I wondered if the birthday streak was gone and if the plant had adjusted back to it's normal schedule. That was until this week, when it began to bud and bloom and produce the birthday party for my Ma Jones... right on time. I have said this many times but the older I get the more I miss her. It would be so nice to be able to escape to the bubble of her little world, it was somewhere you didn't have to explain, you could just be. This weekend finds me playing nurse again (the second time in a month that I have had 2 sickies in the house over a weekend!) Both my young men are sick. One tested positive for flu and the other is down with a really bad sinus infection and awful cough (but so far has shown no signs of flu!!!) Ironically, the one who received the flu shot is the one with the flu...go figure! I am just hoping I don't get it because, as I have told many people, our dogs are just not really helpful. Last night, since we were definitely not going anywhere, I started looking at seed catalogs and, of course, the rose catalog caught my eye. 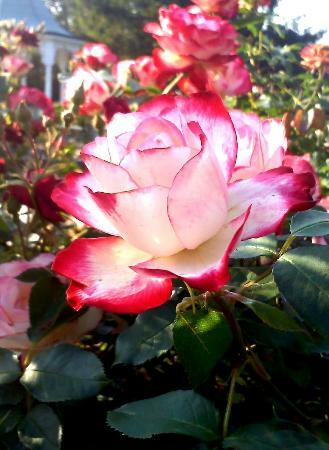 Years ago, 17 if I calculate correctly, I had a rose garden in the house I lived in. Some of the roses were left from previous owners but I had planted the large beds in front with a combination of roses and azaleas. In houses after that, there was usually a rose bush or two but never a rose garden. It has been a long time since I have had a rose "garden" and I think this year might be the year. I love the work required to bring out the best in these beauties and I just think it would be such a stress reliever to be able to wander through the bushes and literally "smell the roses." Of course, I am not talking anything elaborate or fancy but just a few bushes to bring blooms to brighten the day. Gardening is something I haven't done in several years and after my "window shopping" last night I think this may be the year to start cultivating that skill again. It is so nice to be able to walk out of your house and pick your own tomato or cucumber or have peppers to make fresh salsa with right at hand. I am sure I will have a lot of catching up and relearning but I do think this is the year!